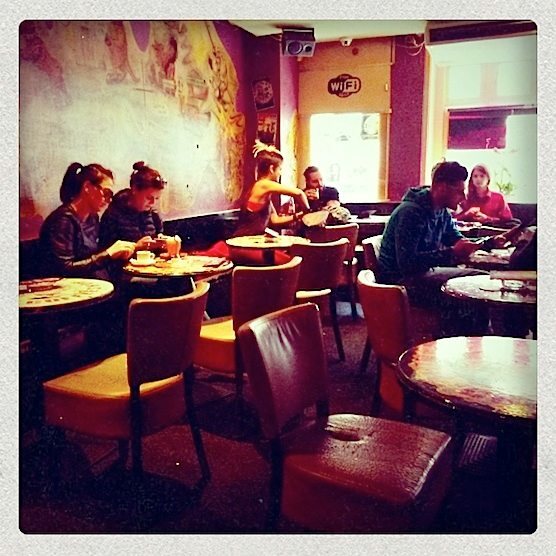 Quite simply one of Amsterdam’s best coffeeshops and it has been for some time, thanks to the quality of the goods on offer and the stunning décor and excellent service. This isn’t your regular coffeeshop as you know it in your hometown. Sure, coffeeshop Hunters has coffee, but cannabis is obviously their main product. 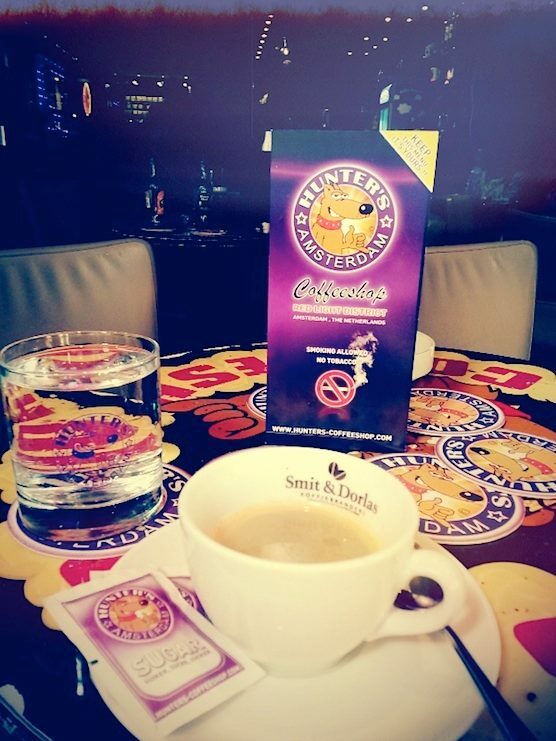 Coffeeshop Hunters also boasts an extensive drinks menu and snacks are also available, just in case you get the munchies. For 6 Euros you could buy a delicious fruitshake here with fresh fruits. What has Coffeeshop Hunters on the menu? 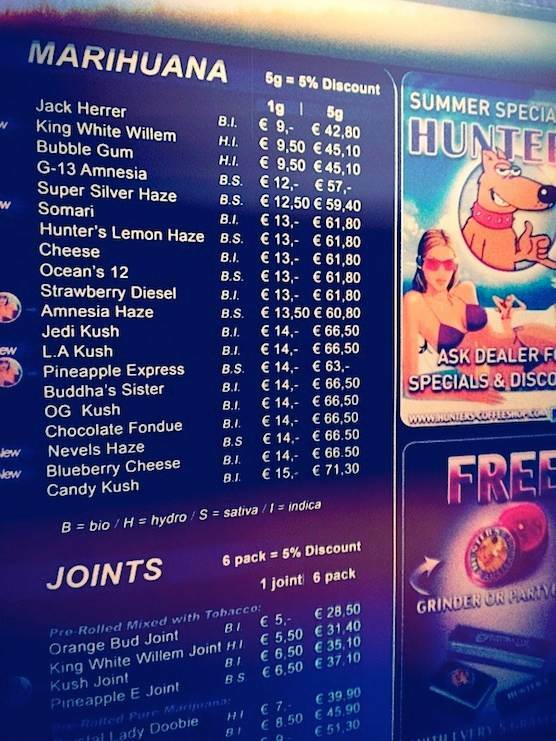 Coffeeshop Hunters in Amsterdam offers 5% discount on every purchase of 5 grams. 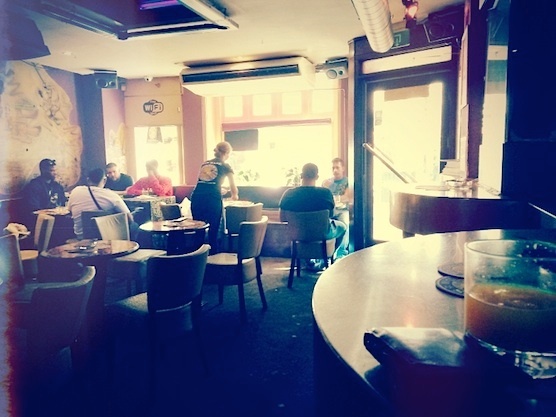 This coffeeshop was founded 1985 and is located in the heart of Amsterdam’s Red Light District on the Warmoesstraat. 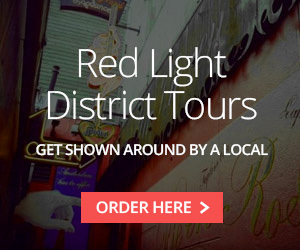 Getting here is pretty easy, as it’s just a 5 minute walk away from Central Station. The Warmoesstraat is one of Amsterdam’s entrance streets. Great coffee as well… And tapped water is for free! Are you visiting the Dam by yourself? 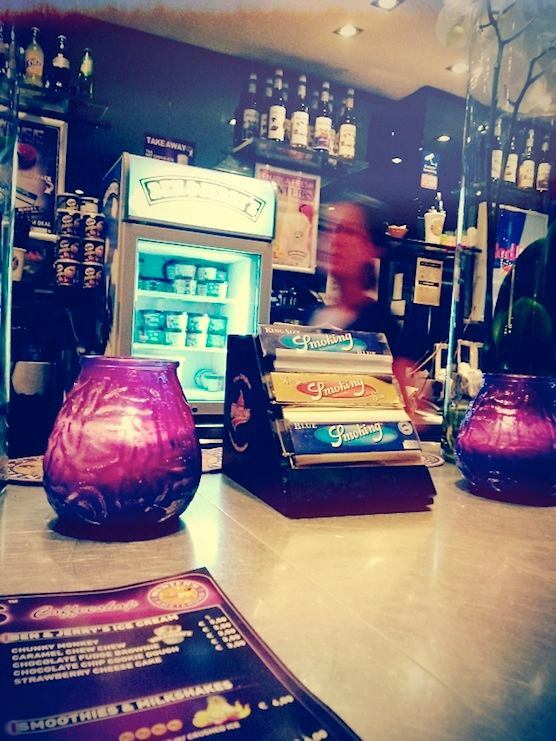 Go to coffeeshop Hunters and take a seat at the bar. The bartenders here are very friendly and always willing to have a chat with you. 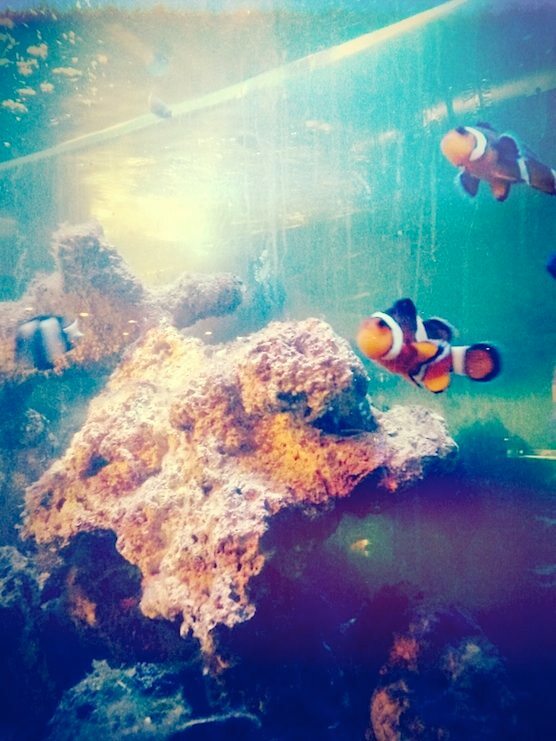 The view in coffeeshop Hunters when you’re sitting next to the fishtanks. The atmosphere here is very, very laid-back. Another thing we like about coffeeshop Hunters is that there is enough space. Some coffeeshops in Amsterdam are a bit too small. If you like to do some people watching, try to manage a seat near the window. There’s always something happing on the Warmoesstraat in the Red Light District. 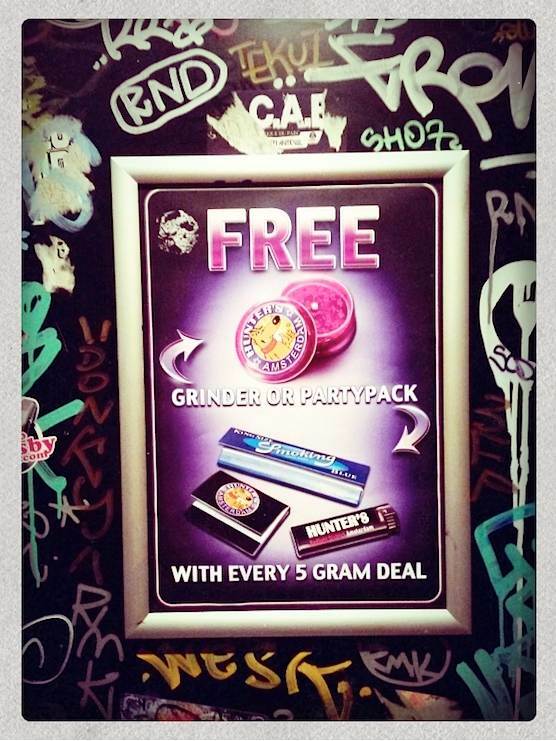 Free grinder, matches, lighter with every 5 gram of weed or hashish. Nice! 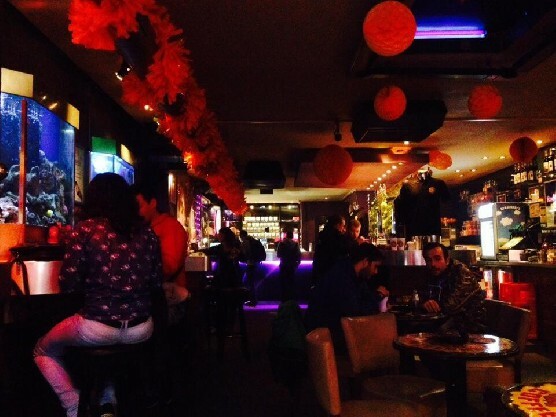 As of Monday 1 June 2015, Coffeeshop Hunters in the Red Light District won’t be a coffeeshop anymore. The government didn’t extended their permit for selling cannabis. The city of Amsterdam is slowly closing down coffeeshops in town. Not because these coffeeshops weren’t following the rules, but just because the local government likes to have less cannabis shops in its city. 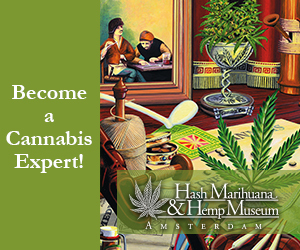 Which means that Coffeeshop Hunters on Amsterdam’s Warmoes street is not allowed to sell weed any more. 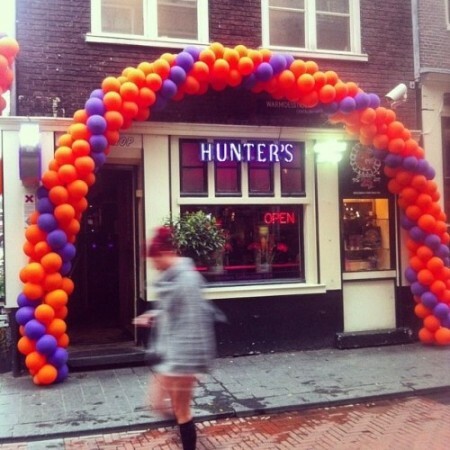 Hunters has been a coffeeshop for 30 years. Have you been here before? Let us know how it was, by posting a comment below. We’re looking forward to hear your experience. This is always my first coffeeshop I stop at when in Amsterdam, like tradition to me. Great weed, and great great place to chill.